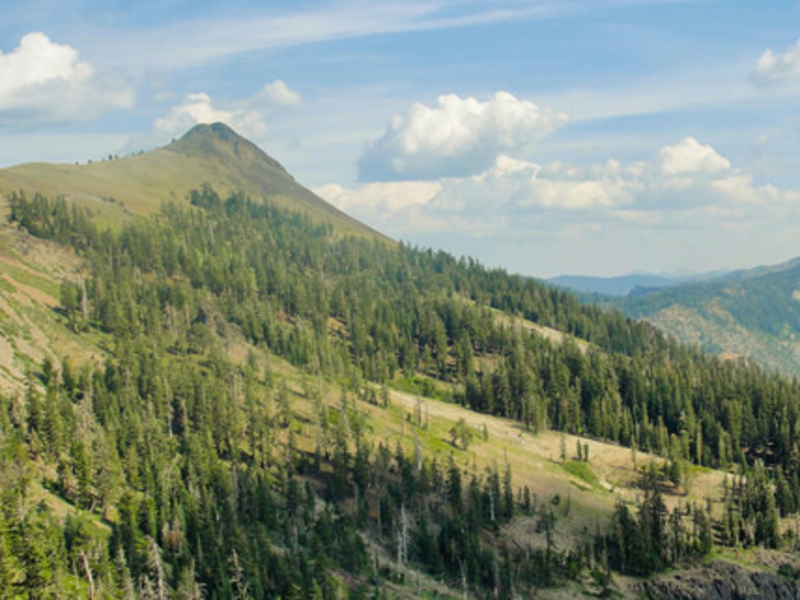 Tinker Knob, often mistakenly called Tinker’s Knob, is the highest point along the Pacific Crest between Squaw Valley and Donner Summit. The knob itself, a small peak along the ridgeline, also serves as an approximate halfway marker between the two access points. A run from Donner Summit to Squaw passes more than just Tinker Knob though –it’s also a tour through some of the finest landscapes the Northern Sierra has to offer: windswept ridgelines running along the blue sky, green and purple lupines poking up through the rock, and Clark’s nutcrackers cackling from the top of ancient, twisted pine trees. For most of its length the run follows the Pacific Crest Trail. The Pacific Crest Trail, which winds for almost 2,700 miles between Mexico and Canada, adheres strictly to the true Pacific Crest along this run –squeeze your water bottle on one side of the trail and it will drain to the Pacific Ocean. Squirt it but a few feet further on the other side of the trail and the water bottle’s contents will empty into the Great Basin. It’s pure ridgeline running –which makes for spectacular, 360 degree views as well. This run is usually started from the north where the Pacific Crest Trail crosses Old Highway 40 near Sugar Bowl Ski Area. The trail climbs up and away from the highway and beyond Roller Pass, the famous location where early pioneers rolled their wagons over the crux of their Sierra crossing. From there, the trail follows the undulating windswept ridge all the way past Tinker Knob. Just south of Tinker Knob, the trail drops off the crest, crosses a few small creeks, and then climbs again through the trees before its junction with the Granite Chief Trail. The Granite Chief Trail plummets down through Shirley Canyon’s spectacular Granite walls before reaching the floor of Squaw Valley. This run can be done as an out-and-back to Tinker Knob, or as a through run from Old Highway 40 to Squaw Valley. Those looking for a long, high Alpine run without large elevation changes will love this route. From Old Highway 40 to the base of Tinker Knob the trail rises 1,600’feet in elevation in just under 8 miles –and most of that takes place in the initial climb away from Donner Summit. For those wishing to continue their run past Tinker Knob the trail starts to rise and fall a bit more, especially at the end where the Granite Chief Trail drops over 1,900 feet in just 3.2 miles. The final descent can be a bit hard on the knees after a long day. 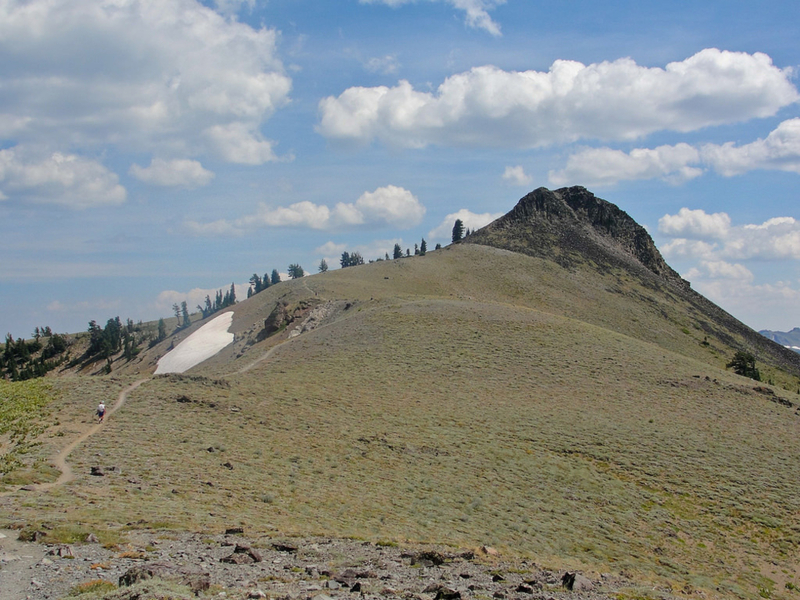 From Tinker Knob to Squaw Valley via the Granite Chief Trail is an additional 6.1 miles. From Truckee, drive up Old Highway 40/Donner Pass Road for approximately 9.3 miles. Turn left on Old Donner Summit Road. Parking is free along Old Donner Summit Road. Follow the signs for the Pacific Crest Trail.